The commodities traded on commodity and futures markets are almost invariably the ‘raw’ products: items that have been grown, mined, or pumped from the earth. Commodities vary from being very scarce or difficult to obtain to being quite easy (relatively speaking) to produce and use. Wheat definitely falls into this later category, but although wheat is an extensive commodity (550 million tonnes are consumed globally each year), it is still a challenging product to grow, store and transport. Wheat is the leading source of plant protein for humans and the second most consumed plant in the world today. It is used in the production of foodstuffs, in the brewing industry and as livestock feed. And the demand for wheat increases annually, especially with the present global population explosion, continuing urbanisation and the industrialisation of emerging market economies. Yet, despite massive yields and the occasional glut, the market never becomes saturated. Although evolving from a type of wild grass native to the arid terrain of Asia Minor, today wheat can be grown in many different climates. It is a seasonal crop with a relatively short harvesting period which usually occurs in either winter or spring. 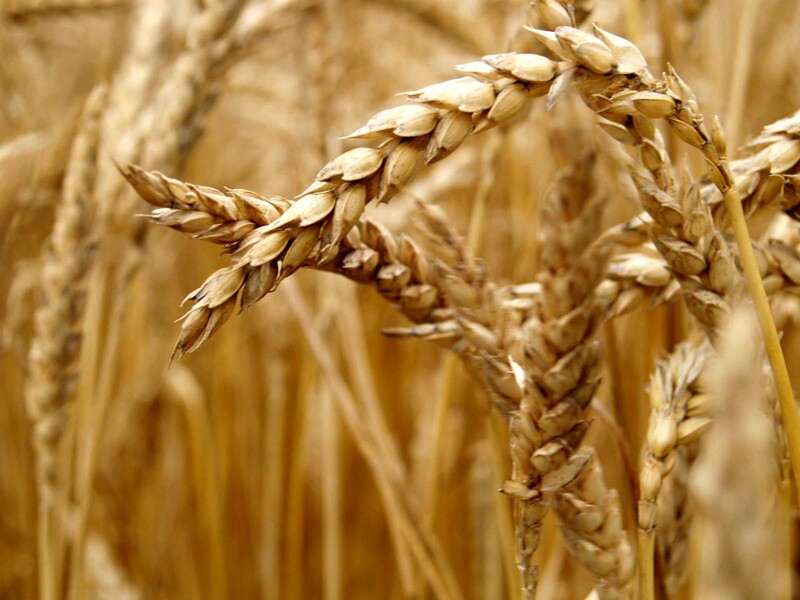 Hence, wheat falls into two categories: winter wheat and spring wheat, depending on the harvest season. Wheat is then further sub-divided into classes, determined by wheat’s hardness, the colour of its kernels and by its planting time. Each class of wheat has its own characteristics related to milling, baking or other food and industrial uses. There are more varieties of wheat than any other cereal crop and these vary in their ability to withstand different climate conditions and resist disease. The top five producers of wheat are presently China, India, the USA, Russia and France, but global wheat supplies are also supplied in large quantities from Germany, Canada, Argentina and Australia. The most prolific consumers are the European Community (EC), the USA, India, Egypt and Russia. Two thirds of all wheat harvested is used as a foodstuff for humans; the remaining one third (usually the lower grades) is used as animal feed and in some industrial applications. Wheat futures can be very volatile mainly because wheat prices are particularly susceptible to a number of different factors. Perhaps the most important of these is the weather, since wheat is vulnerable to weather extremes; massive droughts, floods or winds can negatively affect supply (and hence prices) of wheat. Conversely, reports of rain falling in dry areas can cause the price of wheat to drop. Other factors also have an impact on price. New agricultural technologies can influence production and methods of harvesting. Changes in demand (dictated at present by an increasing demand for ethanol-producing products such as corn and soybean) can change farming practices and reduce supply. Even changes in competitor commodities such as corn and rice can affect the price of wheat. In October 2012, wheat futures pushed 5.5% in one day, which equalled the greatest bear market in the history of 150 years of trading in the wheat market, equalling the Great Depression in the USA. Recently, the decline in prices equalled the greatest leg down in history’s market. For example, in November 2012 wheat was being sold at US$361.9/metric tonne. On 24th May 2013 the price was US$318.10/metric tonne. The factors that drive these dramatic changes in price are affected by present, medium and long term aspects that can and will affect supply. A common theme in arable farming is to recognise that there is an optimum time for sowing for every location and this is determined each year primarily by the weather, availability of land and irrigation water, but also by the type of wheat being sown and the likely timing of diseases in the area. Once the best sowing time is determined, any delays in sowing at that date can reduce the yield. Yield losses from delays will generally be greater in hotter regions. Hence, it can be seen that wheat, although widely grown and available, is a challenging commodity to produce for a number of reasons. One of the factors that is becoming particularly important is the availability and supply of fresh water. At the beginning of the 21st century, the United Nations identified the supply and quality of fresh water as being one of the most important concerns to the global community in the coming decades. This not only included access to fresh drinking water, but also irrigation water. And wheat is one of the most likely crops to experience production dilemmas due to irrigation water shortages, because in some of the major wheat producing areas of the world, the crop relies heavily on irrigation. This is a particular problem in India for example (who produce between 68-75 million tonnes annually) but whose wheat crops are being affected by dwindling water supplies for irrigation. However, the challenge lies not only in physical water supply restrictions, but also economics. Water uses that bring a low return, such as wheat irrigation, are likely to be replaced by crops that not only have lower irrigation requirements but also provide higher returns, such as cotton. This is particularly the case in China. 50% of China’s wheat production and 40% of it’s cotton are grown in three provinces, Hebei, Shandong and Henan, all of which are based in North China. Since the North China Plains shallow water table has salinity problems, there has been a steady move away from growing wheat, which is not salt-tolerant, to growing cotton which is more salt-tolerant. Water restrictions are not the only challenge. Wheat is also very susceptible to disease. There is a growing threat of new virulent diseases such as wheat rusks and leaf blight. An epidemic of Septoria Tritics Blotch, for example, can result in a yield loss of 25%-50% of the crop, with the resulting seed being shrivelled and unfit for milling. Unfortunately, this disease is particularly common in areas with high rainfall and cool temperatures (15-25ºC) and under ideal conditions (usually when it is wet and windy) infection can occur at any stage during the plant’s development cycle. Hence, this disease is economically very important in many wheat producing areas of the world, particularly where high rainfall occurs. Losses can be very high and may reach 50% if fungicides are not used in susceptible genotypes. However, there is continuing research to develop new genotypes and fungicides to avoid this problem. But the diseases also continue to develop, so its an on-going battle. Wheat is also a very challenging commodity to store and ship. The reason for this lies in two physical characteristics of harvested wheat grain – hygroscopicity and the fact that even after it has been harvested, wheat continues to metabolise. Hygroscopicity is the capacity of a product to react to the moisture content of the air by absorbing or releasing water vapour depending on its internal water content. The water content of a product is the percentage of its total mass made up of water. Metabolism means that wheat grain continues to absorb oxygen and excrete carbon dioxide. Although these are two different processes, they are linked, because the presence of moisture, either from internal or external sources, can cause an increase in the rate of metabolism. Consequently a number of factors must be considered carefully when storing and transporting wheat. Moisture, especially an excessive water content (more than 15%), can result in a number of problems. Avoiding the development of mold (which reaches optimum activity at temperatures between 20ºC and 30ºC) needs constant attention, as does the avoidance of mustiness, fermentation, agglomeration (the sticking of particles to one another or to a solid surface) and the risk of germination (premature sprouting). However, the biggest problem is avoiding self-heating, which usually occurs at temperatures exceeding 25ºC. Any of these processes in a mild form can seriously devalue the harvest. In more advanced stages, they can destroy the harvest completely. Wheat cannot be shipped until the grain’s moisture content has decreased to 13%-14% water content. After harvest, wheat will release water vapour into the air constantly (a process known as sweating) and it takes about 1-2 months for freshly harvested grain to reach a point where it is deemed dry enough for shipment. During this post-pipening period the wheat grain is highly susceptible to mold, so the storage facilities for wheat undergoing ‘sweating’ must be cool, dry and have very good ventilation to assist in the dissipation of the water vapour. It can be a fine balancing act, because if the grain dries out too much (a condition known as excessive drying) this can also adversely affect the quality of the grain. However, the biggest challenge is to avoid self-heating, since heated up wheat grains can literally explode. Self-heating is particularly problematic in freshly harvested grain with average moisture contents of 14%, since, given the differing stages of ripeness of the individual grains, a proportion of them may have higher water content. Such grains have been identified as the starting points for moist spots which, if uncontrolled, can expand continuously and finally encompass the entire harvest with a major rise in temperature. Unfortunately, due to the way that grain is shipped by sea (usually in bulk cargo, but occasionally in containers) it is virtually impossible to ensure proper airing throughout the cargo. Even when ventilation is carried out, the relative humidity of the immobile air between the individual cereal grains is determined by the product’s water content. For this reason, drying-out by ventilation is generally only superficial. Consequently, wheat loaded in an excessively moist state cannot be dried and protected from spoilage by a vessel’s ventilation system. This does not mean that ventilation should and must continue during a sea voyage, but that ventilation alone cannot prevent wheat grain that is not dry for shipment from spoiling. This is the reason that a Submitted Sample Certificate, detailing the loading moisture content of the grain, is required as part of the shipping documentation. These certificates should state not only that the appropriate measures have been carried out, but also how, where, and with what level of success. Other documents include a Phytosanitary Certificate, Grade and Weight Certificate, Certificates indicating the absence of odour, contamination and the absence of pests, and a Certificate confirming no identified infestations in any of the holds of the carrying vessel, by pests of any kind, prior to loading. All these certificates are normally issued by Independent verified inspectors. Once dry enough for shipment, wheat may be kept for up to 12 months or longer provided that the appropriate temperature, humidity/moisture and ventilation conditions are complied with. This is particularly important in parts of the world where damp weather prevails since wetting and extremely high relative humidities could lead to mold growth, spoilage and self-heating due to increased respiratory activity. Excessive moisture in the grain can also cause odour and flavour changes which are not lost in the course of the milling and baking process. So the necessity of only shipping wheat grain when it is dry is not just related to the danger of self-heating, but also to the quality of the grain when it arrives at destination. Usually a water content of 13% is often seen as the optimum value, especially if the temperature in the holds during shipment can be kept at 20ºC or less consistently. At this degree of water content, the risk of self-heating is slight because the dry grains of cereal can absorb the water content from the moister grains without physical detriment. It is once the water content is 14% or more that the threat of respiration begins to rise. Nevertheless, the respiration of the grain can be inhibited by lower transport temperatures. This is the reason why, in the winter months, a water content of up to 15% is admissible in the North Atlantic region, including the North Sea and the Baltic. However, it is still a finely balanced measurement game because even small quantities of additional water can lift the water content of the grain above the critical point at which a rapid increase in respiration can occur. This also means, under normal conditions, that a reduction in moisture from 16% to 13% has a greater effect than a reduction in temperature from 18ºC to 10ºC. Hence, compliance with the specified water content is therefore of prime importance if the wheat is to be transported without loss. Wheat is usually shipped as bulk cargo (although seed is often shipped in security sealed bags). When shipped by sea, the IMO (International Maritime Organisation) ‘Code for Safe Carriage of Grain in Bulk’ (International Grain Code) adopted May 1991, must be complied with in order to enter ports in most parts of the world. These instructions cover everything from the vessel’s stability to determine the maximum load the vessel can carry in each hold, to the stowage details, to determining if the vessel was completely empty and fumigated before entering a hold and, quite importantly, to check whether the grain cargo can overheat. A lot of countries, the United Kingdom included, will not allow a vessel to enter its ports with a bulk cargo of wheat unless it has been loaded in accordance with the International Grain Code. The International Grain Code has been developed to ensure that wheat, and other grains, avoid self-heating by limiting the possibility of increased respiration due to the presence of moisture, inadequate ventilation or elevated stack pressures. Increased respiration not only results in the formation of Carbon Dioxide and moisture, but also heat. Moisture and heat together, in turn, promote the activity of the respiratory enzymes, which then starts the vicious circle of bringing about more rapid respiration and eventually results in self-heating. Effectively, if the temperature rises high enough, the cargo can catch fire or explode. The excretion of Carbon Dioxide is equally important. Interestingly enough, if relatively large quantities of Carbon Dioxide accumulates in the hold, the respiratory activity of the wheat grain will drop. If the grain was dry for shipment to start with, hold air with increased levels of Carbon Dioxide does not actually affect the quality of the cargo and, in fact, inhibits mold growth. However, if the grain was not dry enough for shipment, the grain can change over from aerobic to anaerobic respiration due to the build up of Carbon Dioxide. This can result in a series of ever-increasing problems. During anaerobic respiration, lactic acid bacteria can develop and the combination of Carbon Dioxide, lactic acid and often alcohol (which also develops) can have a toxic and extremely detrimental impact on the grain, especially seed cereal, which will lose its ability to germinate if stored in an oxygen-depleted environment. So the presence of excessive levels of heat on the grain can have several different but equally problematic outcomes. Unfortunately, there is more than one way in which wheat grain can self-heat. It has already been described why the water content of the grain at the time of loading is of critical importance, but even if the water content starts at 13ºC there are still ways that water can enter the grain. These circumstances vary from the obvious to the much less obvious. Not surprisingly seawater damage is a constant threat during deep ocean voyages, especially if the vessel hits extreme storm conditions. Seawater entering the hold not only damages the grain but endangers the ship. Enough water can cause the grain to swell and place such pressure on the vessel’s architecture that it causes severe structural damage. However, even a small amount of seawater can seriously damage the cargo. Flour made from seawater damaged grain will always have a bitter taste. If there is any suspicion that the cargo has been in contact with seawater, then the grain will have particles of chloride ions sticking to it and these can be identified by inserting samples of the grain in a silver nitrate solution. A colourless reaction means no contamination: a discoloured milky white solution indicates the presence of chloride ions. Another potential problem can occur if timber is used for grain bulkheads when wheat is shipped as bulk cargo. The water content of the timber must also be less than 15%, otherwise the water vapour released by the timber could lead to heating of the grain and to lumps forming at the timber walls. Spoiled wheat then stays stuck to the bulkheads. Self-heating can also result from the flow of heat from the grain in the centre of the cargo, resulting in the formation of steep temperature gradients in the superficial layers of the grain. Simultaneously, water vapour can flow from the centre of the cargo to the surface while the surface is being cooled by ventilation, thereby increasing the humidity in these superficial layers. If dry fresh air is used for ventilation, a dry surface layer several centimetres thick is obtained, which creates the impression that the cargo is free of defects. But beneath this outer layer there can lie damp intermediate layers of what is now lower grade grain, which will decompose, stick together and eventually swell up. This can be quite destructive. In order to avoid cargo damage caused by such moist intermediate layers, the fresh air supply must be restricted when there is an excessive temperature differential between the cargo and the external temperature. Self-heating is not the only problem that can affect the wheat grain during shipment. 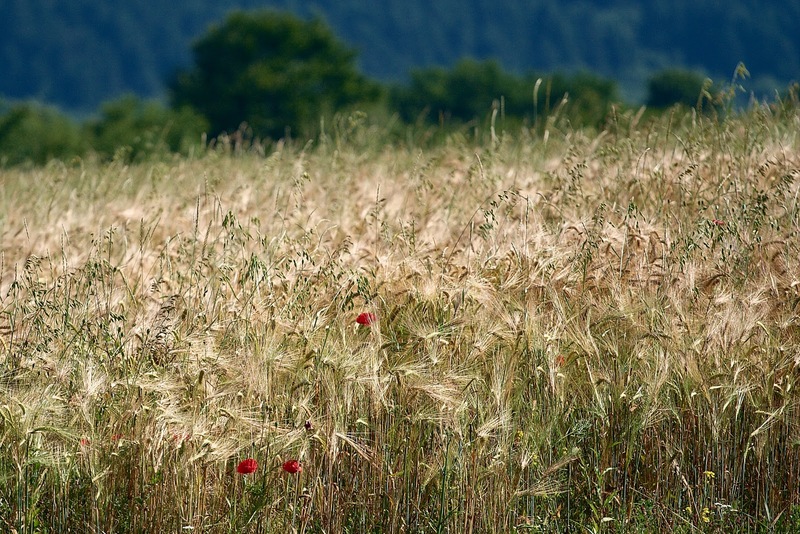 Wheat is highly sensitive to the absorption of odours such as sulphur dioxide and kerosene. Consequently, the holds of the vessel must be completely odour-free before the grain is loaded. An inspection certificate confirming that the vessel’s holds are fit for loading should be provided beforehand. If wheat has a low water content and is properly ventilated during shipment, this will mean that any respiration by the wheat will result in the evaporation of the intrinsic moisture content. This could result in a weight loss of up to 1% of the total cargo weight. Sometimes, therefore, the cargo may appear to have been short-shipped in weight, when in fact the weight loss relates to dissipating water content alone. Further losses can arise due to grains attaching to hold walls or because of dust formation during cargo handling. Wheat is delicate and should be handled carefully on both loading and unloading. Another serious problem is that the wheat grain can become infested during storage and transport by pests such as the granary weevil, the cadelle beetle, the rust-red grain beetle, the sawtoothed grain beetle, the European grain moth or the Angoumois cereal moth. The chewing damage caused by these pests can bring about increased respiration in the grain (hot spots) and this, associated with the metabolic activity of the pests themselves, can promote heat and moisture. This, in turn, can provide favourable conditions for the development of molds, and at very high moisture levels, for bacterial growth. Inadequately cleaned warehouses and holds/containers are generally the root cause of insect infestation. Wheat grain is also at risk from rats and mice, which can act as disease vectors and contaminate the grain. Wheat is a major commodity in today’s international trading and, as detailed in this article, supply and prices can be affected by a number of different factors. Ensuring that a shipment takes place without incident (or loss) can be a complicated process and one that needs a lot of attention to a number of details. It is a challenging commodity to deal in, but a necessary one, and wheat supplies will continue to be vitally important to many countries for a long time to come. Thanks to Transport Information Service (TIS) for all the information on shipping grain. A brilliant information site.